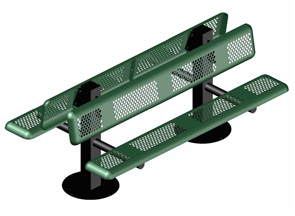 Manufactured with the latest thermoplastic coating technologies, these benches are corrosion resistant, maintenance-free, and will not warp, crack or peel. 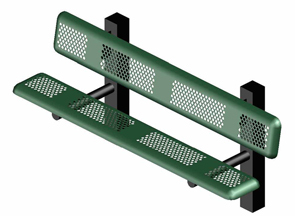 These benches are offered in your choice of in-ground or surface mount. 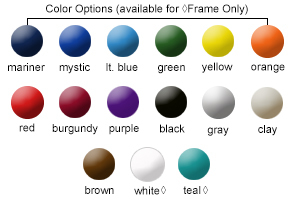 Backs and seats are finished with lightly textured Polyethylene coating and the frames are powder-coated in the colors as shown below. Available in single or double sided models. 4" x 4" Square Legs.